First off let’s be honest, TV commercials are pretty dumb and they always have been. While they started out as fairly normal presentations by salespeople, as they got shorter they got stupider — they fed us little bits of information in the hope that they would be memorable. There are a few commercials that have really stood the test of time, either because they were memorable earworms (Plop plop fizz fizz, Wazzzzup) or because they had memorable music (Heard it through the grapevine) or because honestly they were just very good short films (Macintosh 1984.) Some tugged at your heartstrings (Coca Cola-Mean Joe Green) and some were part of long-running campaigns (Budweiser Clydesdales.) 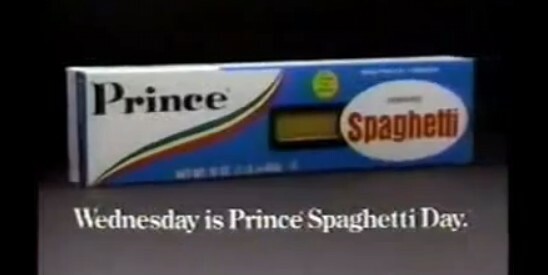 I don’t need to publish links to these commercials because if you’re old enough to remember seeing them, you’re playing them in your head right now. In the last month I’ve been watching a lot of commercials. It’s because my DVR playlist is pretty thin and I’ve been relying on a mix of live TV and Hulu, both of which have commercials. And I have to tell you, today’s commercials are about as annoying as they could possibly be. There have been times I’ve literally stopped watching a show because I couldn’t bear to see a particular commercial AGAIN. So I have to ask myself, am I just getting to a new level of curmudgeonry, or are commercials really worse? I think they’re really worse and I think I know why. With DVRs being so popular, the people who watch commercials are different than they used to be. I’ve noticed that even it traditionally mainstream programs like prime-time TV now has ads that used to only run in the middle of the night on reruns. I’m talking about drug ads, charity ads, that sort of thing. This is due to the fact that the people who actually watch commercials on live TV are older than they used to be. It’s increasingly hard to capture that 18-34 market, so advertisers are aiming at aging boomers instead. Drug commercials are intentionally obtuse; they can’t actually say what the drug does and they can’t ask you to take it. That’s the law. So they show clips of people playing with their dogs and say “Ask your doctor about Golflixebab.” All these commercials end up looking the same so it’s annoying to watch them. Hulu is stupid. Maybe on purpose. It’s pretty common for me to see the same commercial on Hulu four times an hour. It’s trying to serve relevant content to me and maybe it can’t figure me out. More likely it’s working on an outdated formula called “reach and frequency.” The theory is that for a commercial to really stick in your head, you need to see it a bunch of times, and in order for people to act on it, you have to serve it to a lot of them. So Hulu gets it in its mind that somehow I’m in the mood for a new car (I’m not) and it gives me this commercial over and over. This commercial is already pretty stupid and repetitive so when I see it for the fourth time in under an hour I want to throw a rock at an Acura dealership. The problem is that the “reach and frequency” theory stopped working 20 years ago. The bigger problem is that no one has a better theory, so they keep using it. Since most shows on Hulu average only 9 minutes of commercials per hour (broadcast TV averages 22 minutes) they have to keep repeating the same commercials until the theory tells them to stop. Maybe after all these decades of watching commercials I’m just up to here with them. Maybe I am so accustomed to skipping them that they really annoy me when I can’t skip them. In other words maybe it’s my fault. That’s probably part of it, but I don’t think it’s the only part. Have you been watching a lot of commercials in the last few months? Are they dumber than you remember? Leave a comment below!